Tom and some of his extended ‘Ohana stand by the Training Center at Kalaeloa. Nanakuli Housing Corporation was founded by the late Paige Kawelo Barber in 1989. Her vision continues today as this organization continues to develop and deliver programs that address their vision of Hawaiian families building their personal assets through home ownership. Every year, the Hawaii Young Lawyers Division (YLD), a public service arm of the Hawaii State Bar Association (HSBA), celebrates a “Law Week”. One of the events offered during the week includes walk-in legal assistance clinics held at various locations around the state. 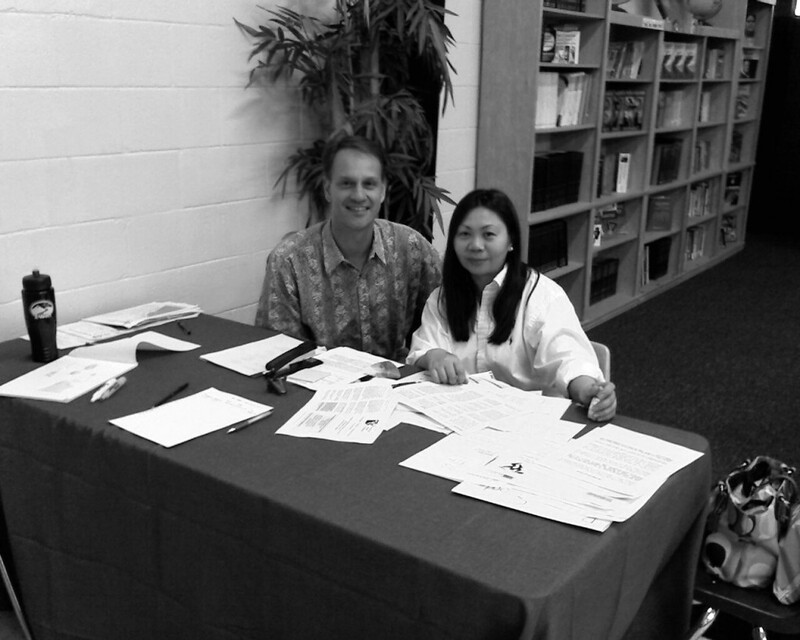 The Wai`anae Boys & Girls Club was the site of the May 2nd Law Week Clinic where volunteer attorneys provided legal information and referrals to the many residents of the Leeward Coast. 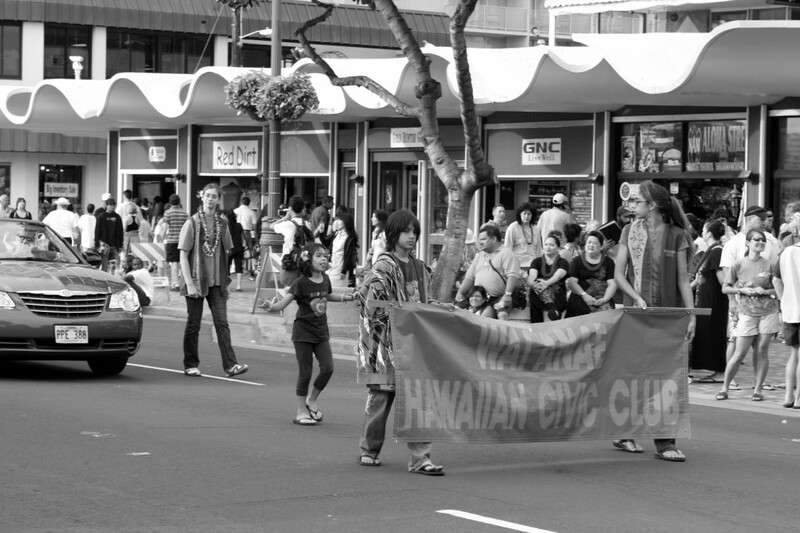 Every March, the Association of Hawaiian Civic Clubs honors their champion, Prince Kūhiō, with a month-long celebration. Prince Jonah Kūhiō Kalaniana`ole, known as Ke Ali`i Maka`ainana, “the Citizen prince,” is revered for dedication to his native Hawaiian people and role as founder of the Hawaiian Civic Club movement and former Delegate to Congress for the Territory of Hawai`i . 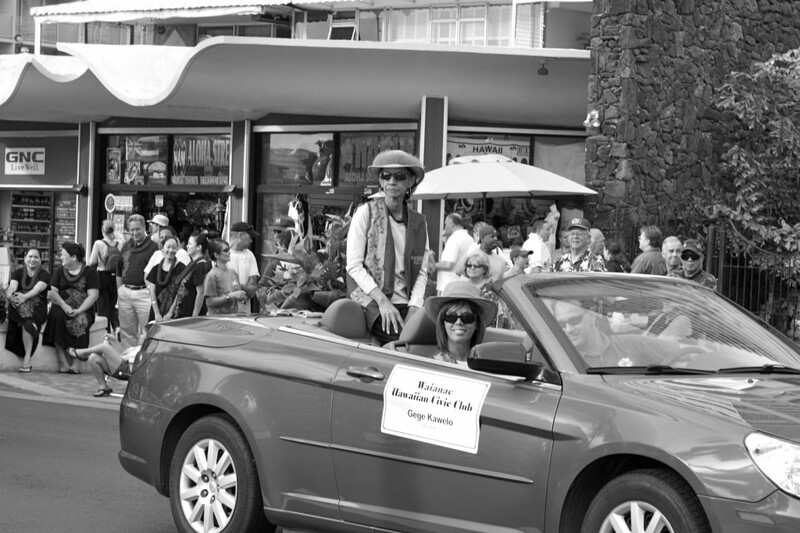 One of the culminating events of the month is the annual Prince Kūhiō Parade down Kalakaua Avenue in Waikiki. Four of Tom’s children participated in the parade – the banner holders and two marchers. 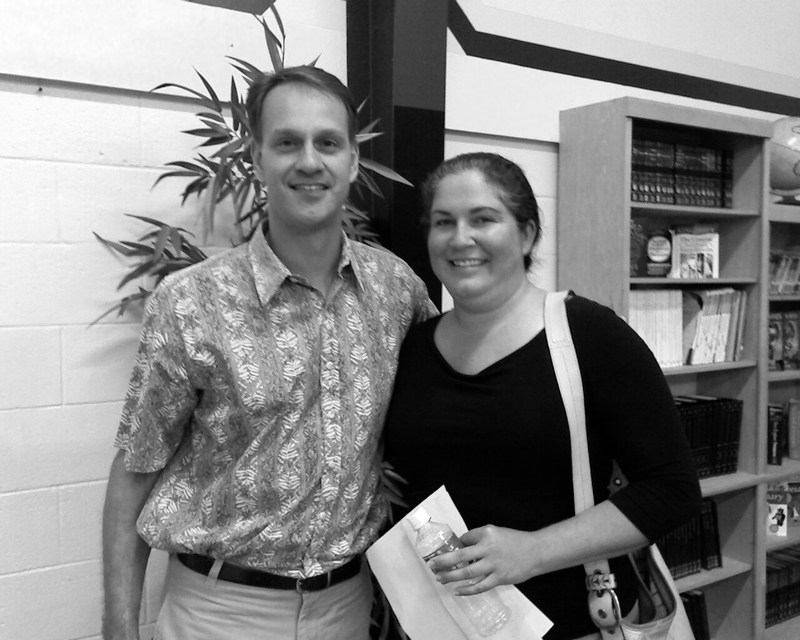 Driving the car for the Wai`anae Hawaiian Civic Club is WHCC member Tom Zizzi. Seated above is WHCC President, Aunty Gege Kawelo. Passenger is Tom’s wife, Amy, WHCC Secretary. On September 8 Friends of Representative Maile Shimabukuro arranged for games, door prizes and dinner at Wai`anae Elemetary School in Leeward Oahu. 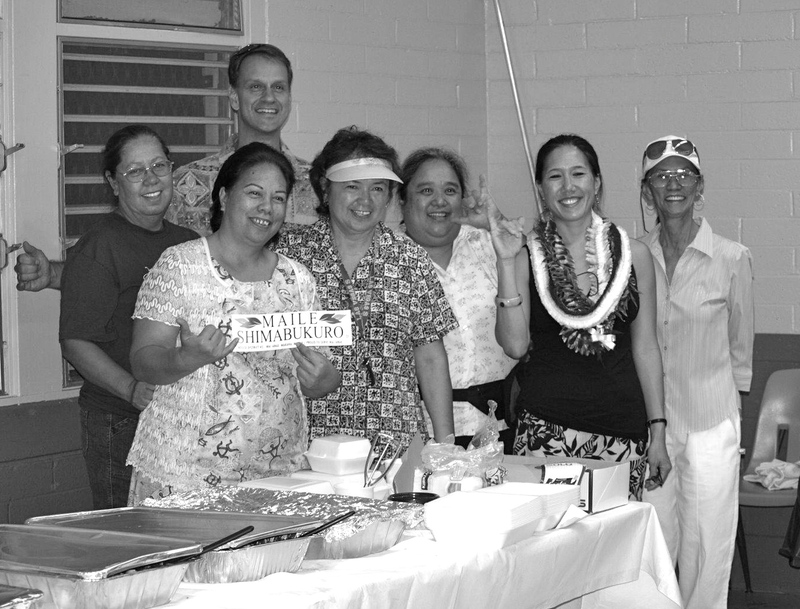 The Kawelo Ohana, all members of the Wai`anae Hawaiian Civic Club, provided the ono food for the event. 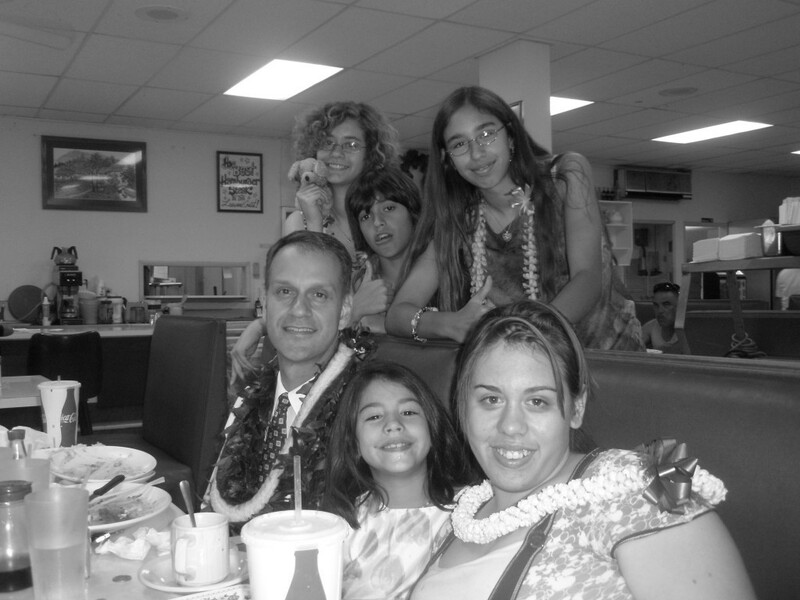 Following the swearing in for new members of the Hawaii State Bar Association at the Supreme Court in Honolulu, Tom Zizzi and his children enjoy a meal at one of their favorite Wai`anae Coast restaurants, Hanara’s. St. Rita’s Church in Nanakuli held this delicious fundraiser with foods from around the world prepared by a multicultural array of its own parishioners. It was a grand event that raised over $8,000 for the Building Fund dedicated to a new church. 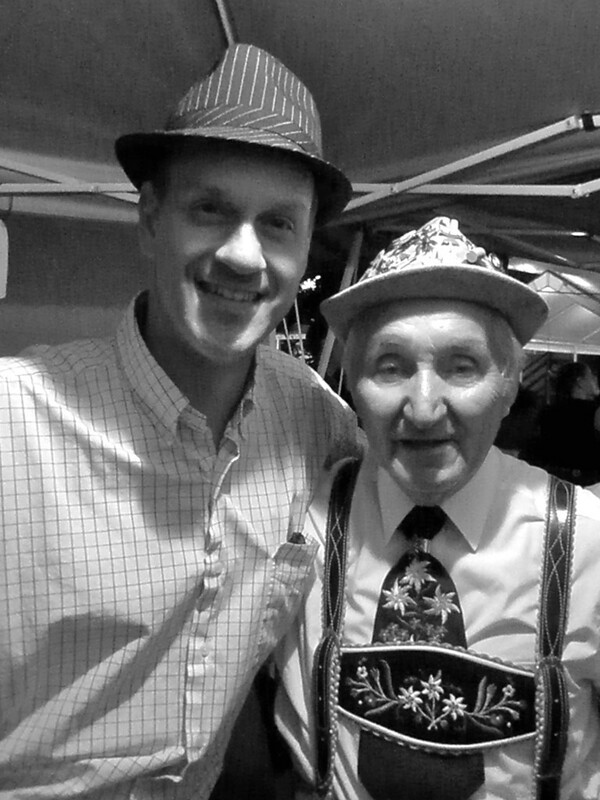 Our own attorney, Tom Zizzi, represented the country of Poland by preparing homemade kielbasa, sauerkraut and cole slaw. Along with his friend Adolf and his fares from Germany, their booth cheerfully shared their “tastes” to many hungry and happy people.